With a claimed weight of 1025g, the Contintental Der Kaiser Projekt is one of the burlier tyres on test with reinforced Apex sidewalls, a 4 ply casing, and a huge, wide open tread pattern. 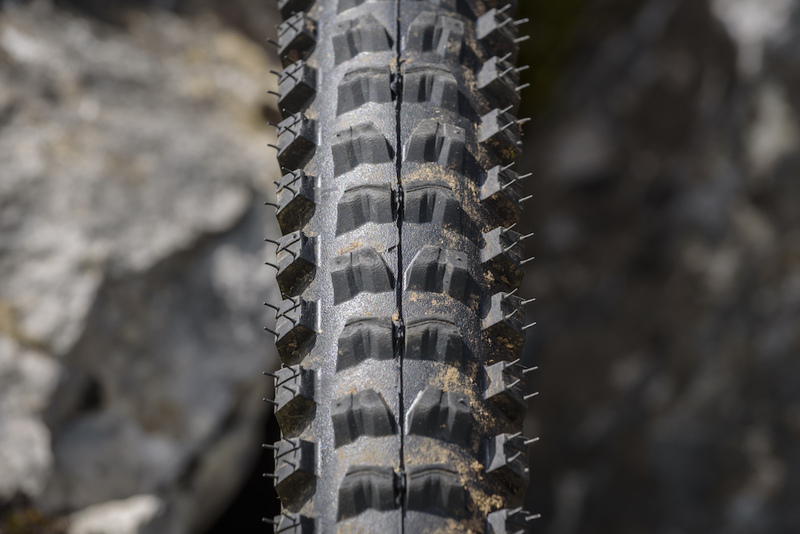 Measuring 2.4in wide and featuring Continentals legendary Black Chili compound, it was designed for racing at the very highest levels of downhill and enduro in mixed conditions, with a slight bias to the drier side of things. 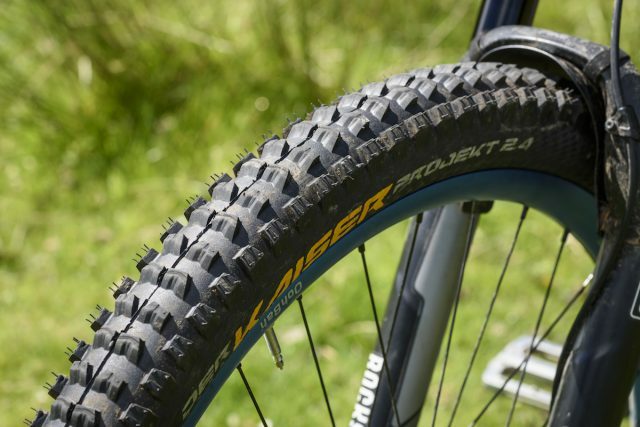 That’s not to say it needs taking off at the first sign of moisture, but as things get progressively wetter there are other tyres more suited to the job or your particular riding style. The Der Kaiser Projekt 2.4in trail tyre uses a faster-rolling tread pattern than the bigger 2.5in wide Der Kaiser downhill tyre. 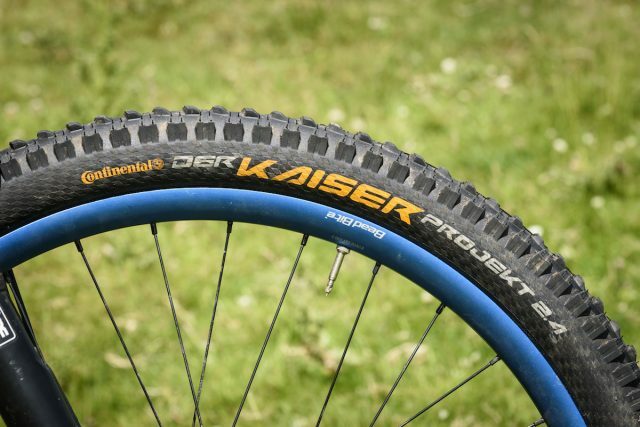 The first thing we noticed about the Der Kaiser Projekts was that while some of the tyres on test just collapsed onto the floor when uninflated, the super rigid casing of the Continentals meant they looked and felt like they could be ridden without rims, spokes, or air, and maintained their shape ridiculously well. 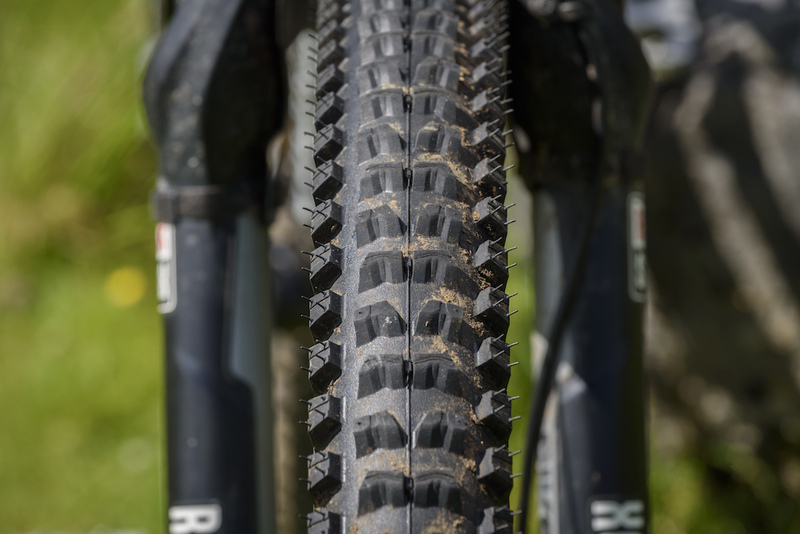 This extra support was borne out when on the bike, and they were super stable, especially on high speed downhill runs where we had absolute confidence in the tyres. Continental keep the durometer specifics of the Black Chili compound close to their Teutonic chest, but comparing it to others on test we would hazard a guess that it’s somewhere in the low to mid 40’s – it is very soft to the touch. What we can tell you for certain however, is that the compound has worn reasonably well, with no sign of any tearing or ripping on the tread, and we didn’t pinch, burp or suffer any air loss throughout the duration of the test. This is quality rubber for sure. Measuring at 2.4in wide, the Der Kaiser Projekt is reinforced with Continental’s 4-ply ProTection Apex casing. 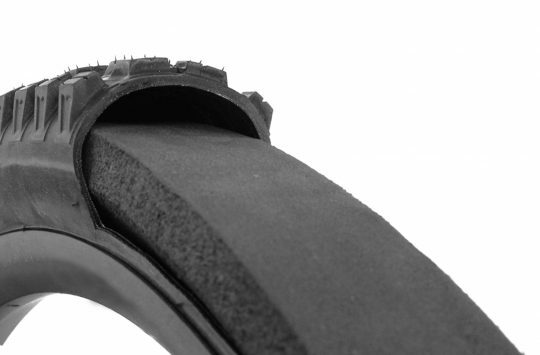 The ramped centre tread helps to provide deceivingly quick rolling. Running anywhere between 20-25psi on the front, and 25-30psi out back, they climbed exceptionally well and really dug in to the ground, leaving noticeable traction marks on fireroad climbs and the sticky rubber picked up those tiny loose stones that always seem to end up in the bottom of your shoes! Amazingly, and in spite of this excellent climbing ability, the tyres roll relatively quickly for their size and weight. They wouldn’t be our first choice for a XC race bike, but they didn’t slow us down on big all day epics. 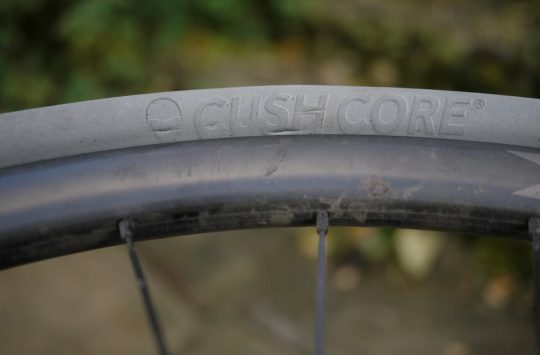 Unfortunately, cornering was slightly less positive – on our first couple of runs on a rare sunny and dusty day in north Wales, we found the tyres were prone to understeer, which led to a few interesting moments until we got the hang of them. The Kaisers reward a more committed approach, encouraging you to really crank the bike over and stay off the brakes, otherwise they can feel skittery and slightly out of control if you haven’t fully engaged the chunky edge knobs. The wide shoulder gutter means you need to really lean the Der Kaiser Projekt tyres over through the turns to get onto the grippy edging blocks. The sticky Black Chili rubber compound gives a slow return with the fingernail test. As things get wetter, the Kaisers start to break away more often and while they sometimes hold their line, they aren’t always predictable. On really steep and rooty off-piste trails, we struggled to slow down in the corners without fear of the tire breaking loose if it hadn’t done so already. There was also very little warning that the tyre was going to give way, unlike some others on test. It makes for an exhilarating ride, but not one that’s very relaxing. 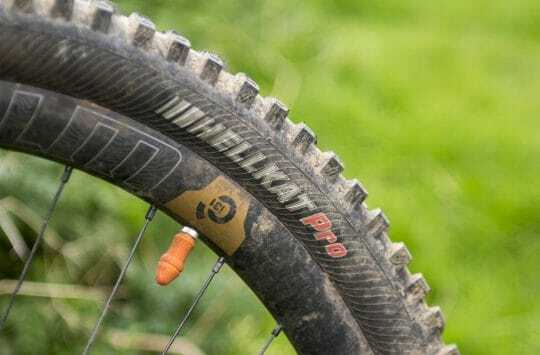 As we mentioned earlier though, they’re designed to perform in drier conditions and Continental offers the even more aggressive Baron Projekt for looser, wetter days. For drier riding conditions, the Continental Der Kaiser is a tough but fast-rolling tyre that suits an aggressive riding style. 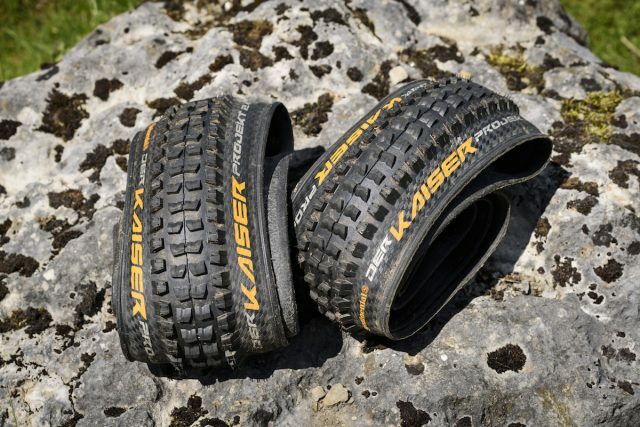 The Der Kaiser Projekt is a great summer tyre. 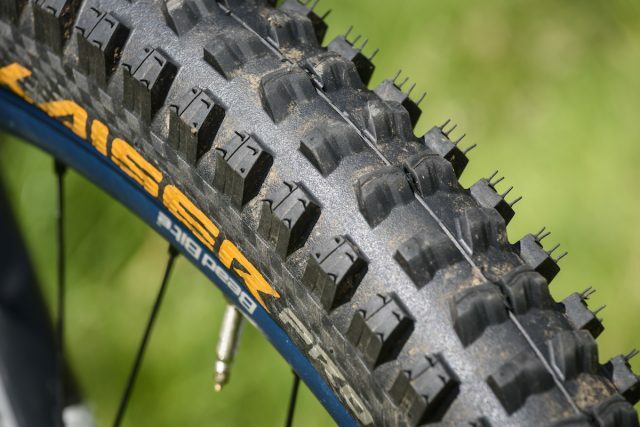 Admittedly they aren’t quite as confidence-inspiring as the Michelin Wild Rock’R tyres that won the ‘Best Summer Tyre’ category, but they are faster rolling and the Protection Apex casing is mega tough for those who are hard on their gear. If you can get your head around the sometimes unpredictable nature of these tyres and your riding predominantly occurs in drier conditions (you lucky, lucky thing you), then this is a great tyre that really rewards an attacking riding style with the durability and stability to back it up. If you’re a little bit more cautious on the bike however, or you like to fit one tyre to last all year round through much wetter conditions, then you might be better served by pairing one of these with a Der Baron up front (an excellent tyre that we’ve reviewed here), or running the Der Baron front & rear. £75 for a bike tyre, sounds like a lot. Looks very much like the Maxxis High Roller.